Pat Mills wrote “The Guardian of White Horse Hill”. Maybe that is the one you are thinking of? He is a bit derogatory of the premise of “Blind Faith”, which was another Jinty horse story. But he hasn’t given any impression he wrote it. There was “Freda’s Fortune”, which was an ok story for a filler but not among Jinty’s best. And “The Changeling”, which had promise as a great serial but only had three episodes, which left it way underdeveloped. Either of those could be the one. I don’t believe he did write The Guardian of White Horse Hill. I asked him about ten years ago and I’m pretty sure he thought it was likely to have been a Malcolm Shaw story. I’ve put down a couple of other possibilities. 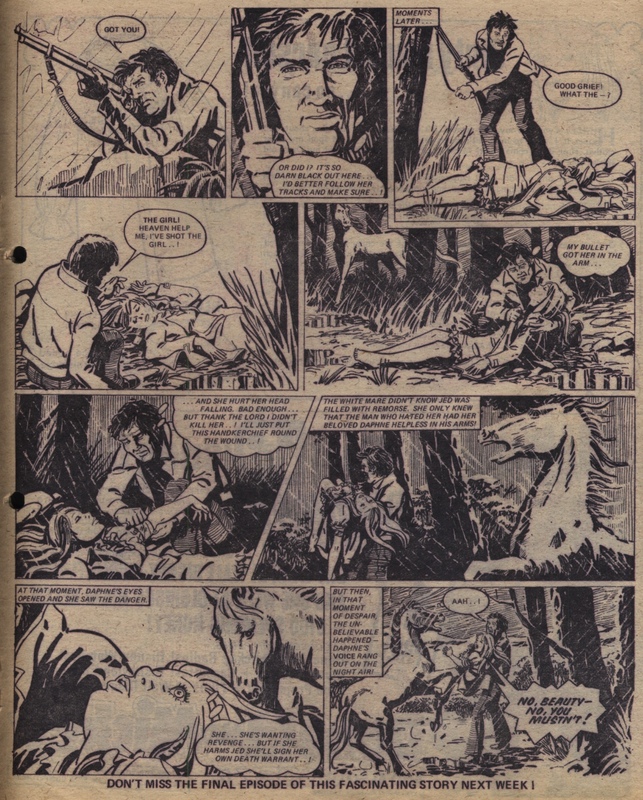 There’s also Horse From The Sea, drawn by Comos, that I’ve wondered about. But I think either Freda’s Fortune or The Changeling are more likely, to be fair. I am more inclined towards The Changeling. It feels more like the sort of thing Pat would write and it came out around the time he was more active in IPC. I suspect he left around the 1980s period, when Freda’s Fortune came, as the Tammy credit period does not mention him. Also, Blind Faith came up in conversation when I went to Raptus in Norway in 2004: I agree it doesn’t sound like he wrote that one though I can’t remember a specific statement either way. 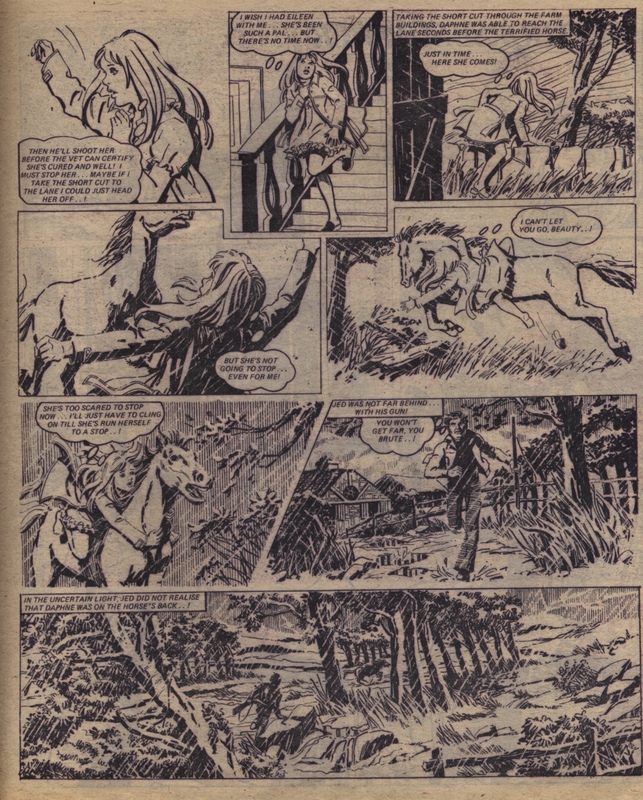 The Pat Mills horse story was the Guardian Of White Horse Hill, I believe. Whoops! Didn’t read the other comments before posting! The artist drew “Fear from the Past”, Judy Picture Library #192. The artist drew a few Strange Stories for Tammy.